Whether you’re a seasoned pro or a bunny slope specialist, winter sports are a great way to get outside and enjoy the cold weather. Before heading out for your first exciting ski vacation of the season, make sure you’ve got all right gear for a safe and fun trip. Between the beautiful mountain vistas, picturesque ski towns, and the view from the top of your favorite run, there are always beautiful photos and memories just waiting to happen. Planning for an epic snowboarding or skiing trip? A good pair of goggles can make your day much more comfortable. Protect your skin and eyes from harsh wind, glare, and UV exposure. If a full snow bib is tight or uncomfortable, a pair of snow pants may be just the right alternative. An adjustable elastic waist helps these pants fit over multiple layers easily, and keeps them snug while maintaining mobility. Multiple days on the slopes can leave skin tight, dry, red, and miserable. One of our favorite travel beauty products, a quality intensive moisturizer every day soothes damaged skin. Formulated for dry skin, Drunk Elephant’s Whipped Cream works hard all winter long. Don’t forget to wear sunscreen too! A warm base layer can keep you warm and cozy all day, no matter how many bumps and bruises you’ll be nursing later from those hard falls. This base layer is 100% Merino Wool, so it’s odor resistant and moisture wicking. Even if you work up a sweat, you’ll be comfortable and dry again quickly. The sun’s reflection off those snowy peaks can be as hard on your eyes as a day at the beach. Protect those baby blues with a pair of polarized sunglasses, like this unbreakable pair by Rivbos, which come with a lifetime warranty. Protect yourself from high-speed impacts with a quality helmet. An adjustable sizing dial helps you achieve the perfect fit, and several reviewers add that it’s possible to size this helmet small enough for children. This convertible model also works as a bicycle helmet for summer sports. Avoid chapped lips and peeling skin with Burt’s Bees vitamin E and peppermint moisturizing lip balm. This 4-pack ensure that you have enough tubes to leave one in your bag, one in a jacket pocket, etc, so you’re never stuck wasting time in the lodge hunting for your only lip balm before hitting the slopes. Renting equipment is always a gamble, whether you have a common shoe size and have to fight every other skier on the mountain for a pair of boots, or have an unusual size that’s never carried in stock. Avoid the whole ordeal by bringing your own equipment, when possible, especially if you enjoy skiing multiple times per season, or on peak days. Water resistant and warm, these gloves are suitable for all winter sports while temps are above 10 degrees. The external zippered pocket makes a great place to store cash, lift tickets, or keys. Pamper those sore muscles after a hard day. The easy on roller ball applicator makes it a snap to use on your back, shoulders, or feet. Biofreeze is colorless, so there’s no messy application and no staining, just cool relief that lasts for hours. Moisture wicking and anti-odor, these mid-weight socks balance warmth and flexibility. Having multiple pairs means it’s easy to alternate them out, especially if your morning’s pair is still sweat-damp. Now you’ll have a spare for an afternoon ride. If you’re one of the lucky few who live in driving range of your favorite ski run, this roof mount carrier makes it a breeze to get out the door and on the mountain faster and easier. With room for four pair of skis, it’s a great way to get the whole family outside. Stand out in the crowd with a well made, vibrant, wind and waterproof ski jacket. Amazon’s best selling ski jacket for women, with nearly three thousand reviewers, it’s garnered a lot of praise for comfort, durability, and weather resistance. Their men’s jacket is just as well loved, so get a his-and-hers set and you’ll be the most stylish, and the most comfortable, on the mountain. When the trails are clear and the sun is shining, you’ll want to be outside all day. Keep your energy up and minimize breaks with a high protein snack like Clif bars. They’ll stay snug in a zip-up pocket, preferably one that isn’t right up next to your body; melted peanut butter or chocolate can get messy, fast. Having easy to layer pieces is a key component to dealing with changing weather throughout the day. This all Merino wool midweight thermal comes in extended sizes, up to 3X, so everyone can enjoy their holiday in comfort and style. Gloves are great for keeping us warm, but sometimes you need more mobility than they allow while adjusting gear, using a smartphone, or taking photos. Get comfortable again rapidly with these easy to use hand warmers, perfect for keeping in a jacket pocket for quick access. While ski masks never make anyone feel fashion-forward, they do help prevent frostbite, so we imagine they aren’t going anywhere soon. Lightweight and breathable enough for all-day use, even under a helmet, this all in one version keeps body heat close and deflects wind chill. Canadian made from 100% Organic Merino Wool, these pajamas easily work as a thermal base layer for all-day wear. Hypoallergenic, when treated correctly wool clothing is moisture wicking, anti-bacterial, and extremely comfortable. Warm up and relax at the end of the day with an indulgent cup of hot cocoa. Ghiradelli chocolate lovers will appreciate the range of available flavors, and with a 15 pack of mixes, there’ll be enough for the whole crew. If you’re traveling with the kids, you’ll need to make sure you have all the travel essentials. 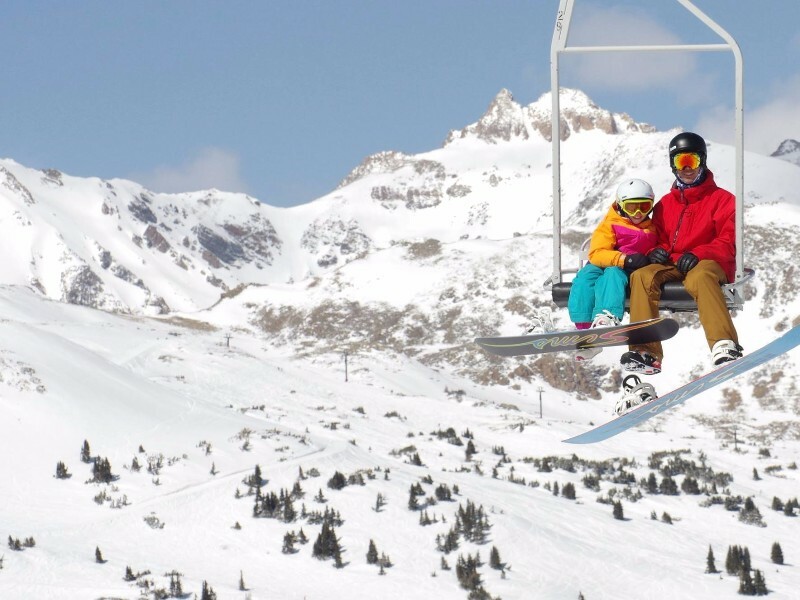 Kids who are too young to learn to ski can still have tons of fun on family ski trips. They often love tubing, snowmobiling, or making snowmen and snow angels. Keep them warm, dry, and having fun with comfortably sized gear that’s waterproof. Anyone a little too tall or short for standard sized rental gear can immediately appreciate having something more custom fit for their body. Much like a comfortable golf club, good fitting ski poles can make all the difference, especially after riding all day, or for multiple days in a row. If you’re flying in, check with your airline for their requirements on how to pack skis. Available in 170 or 185cm length and fully padded, this easy to carry bag is water resistant to help protect your gear. Between freezing temperatures and the wind chill, you’ll want a comfortable pair of gloves on, even if you aren’t skiing, tubing, or snowboarding. This stylish pair of leather gloves is wool lined for extra warmth and softness. If you survived a full day on the slopes without injury, don’t let your guard down and wipe out in an icy parking lot. Ski villages often have so much to explore, and these ice cleats can help you get around them safely. Having a comfortable scarf keeps you cozy whether you’re exploring the local tourist traps or enjoying the mountain scenery. This cashmere blend scarf is warm, soft, and durable.